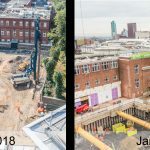 Dawson Wam, a large construction piling company based in Northern Ireland and operating all over the UK, began work at the University of Leeds in West Yorkshire during July of 2018. Their works, a lot of which involves drilling and digging out deep holes for placing foundations for large buildings, industrial projects, bridges and anything that needs very heavy foundations take anything from a few weeks to many months depending on the size of the project. These works in West Yorkshire are extensive and particularly complex because there are large university buildings on three sides, two sides of which are in use by students and staff. 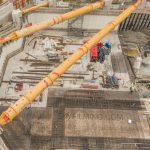 The engineering involved to ensure the safety of the surrounding building while excavating such a large area if very impressive. 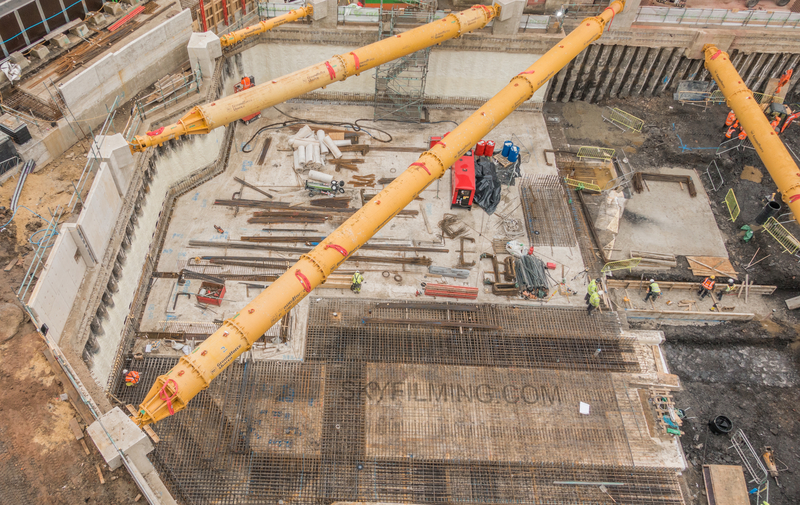 We visited Leeds to capture drone aerial photographs, video and some 360 panoramas back in July 2018 when the ground was only just being broken. On our second visit a we didn’t use any drones as the site was much more complex by then and we had some struggles liaising with a third party company, but this wasn’t an issue as we used a combination of telescope camera poles, cable cameras and roof access to get the images and video clips we needed to show how the site had developed over the 6 month period. It was good for us and useful for the client to be able to capture the needed photography using alternative technologies to drones where their use is problematic or prohibited.